Is your child starting school or nursery this year? 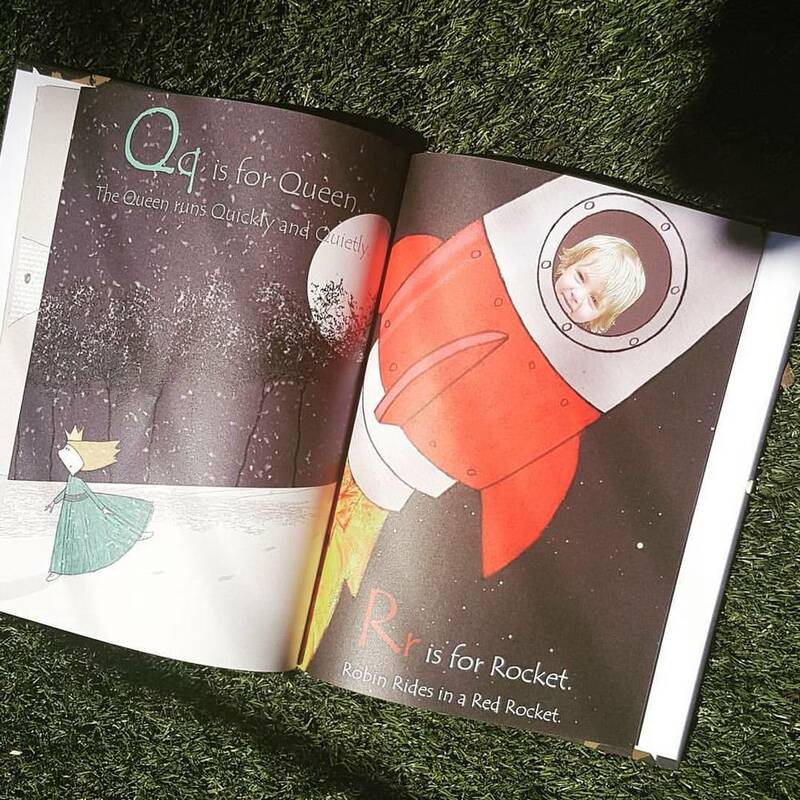 If so mark this all-important milestone with a beautifully illustrated personalised Alphabet book from Itsyourstory. Not only a fantastic teaching aid which brings the alphabet to life by making them the star – but also a perfect keepsake which includes a personal message from you to the child at the front. 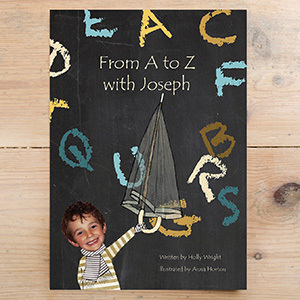 Called ‘From A to Z with <Name of Child>’ this is an ideal gift for children who have not yet been taught their alphabet formally. 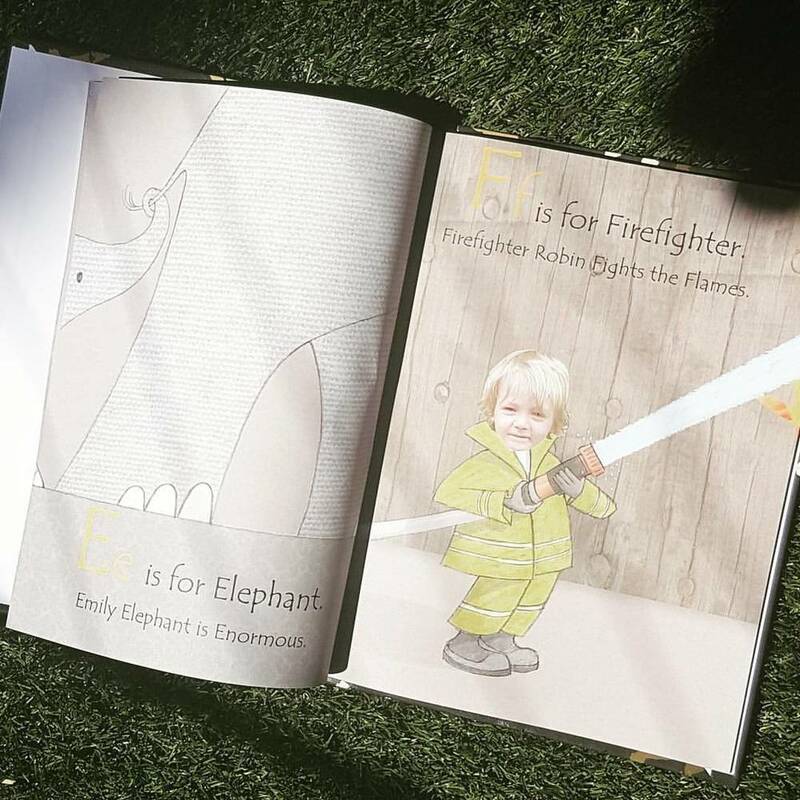 Every letter is accompanied by a picture and a simple, fun sentence which emphasises the sound – for example, ‘Freddy’s Dinosaur is Daring and Dangerous’, ‘Oliver Octopus has Orange Socks’. The child features in the illustrations and text on every page making it a fun, engaging and relevant read. Not only will your child learn how letters sound and what they look like, but they will also get to go on an adventure – meeting lots of different animals, building a sandcastle at the beach and even riding a rocket to the moon! It’s the perfect interactive read for young children as each illustration becomes a talking point. What are you painting a picture of? How many carriages are on the train? What colour is your yo-yo? Well, what can I say? This is probably one of the cutest things that I have ever agreed to review. When the email dropped I had never heard of www.itsyourstory.co.uk before. Since receiving the book I have filled my basket on their website with gifts for the kids and others. The range is beautiful, unique and well made. I have seen some horrific personalised books in my time, ones that make no sense when read or that have misspelled the name and so on. This one is different though, this one uses his face and his name. His face appears every other page and he becomes the character in the story. He personally loves the one where he is in a Rocket but I LOVE the one where he's a fireman because he has a jacket just like that. He has read and reread the book everyday so far. Technically he was supposed to have it for the first day of school but I couldn't wait that long to give him it; who's the child? 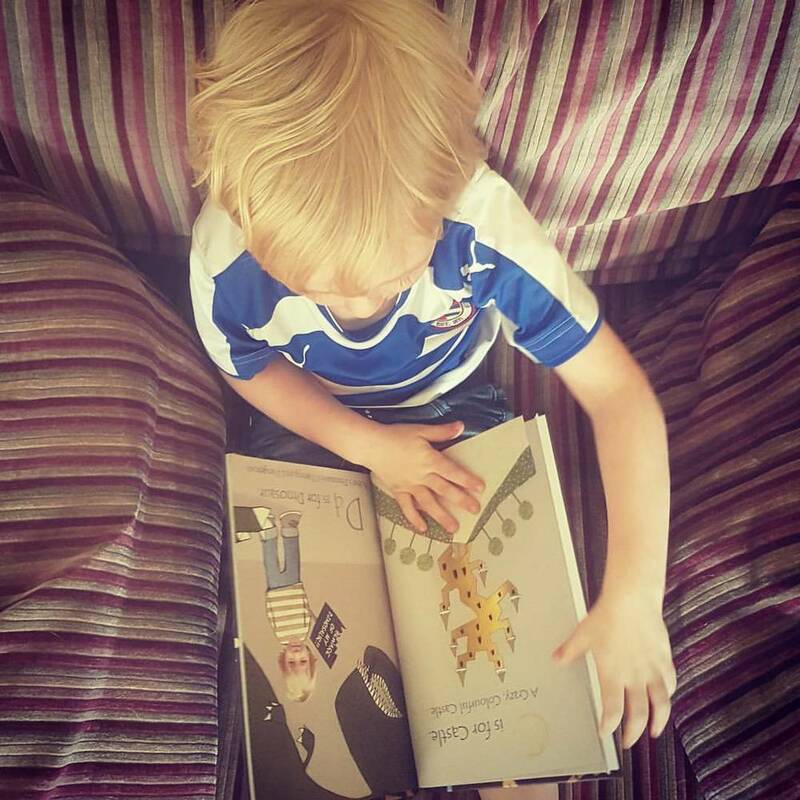 We love this cute, personalised, hardback book. It's perfect as a first day of school present and I even got 'For Robin on your first day of school' written in the front. It's just perfect.